When it comes to present and display visual content and build traffic on your WordPress website. Portfolio themes are the best and most suitable themes to choose from. It is also important to highlight your content in a salient way. You must create a solid first impression for your visitors. WordPress portfolio themes are usually designed with a grid layout. Grid layouts make it more viable to display your photos or products in versatile styles. There are a plethora of both free and premium WordPress portfolio themes to choose from. In this article, I have chosen solely free themes. But in most of the themes, you can update to a premium version if you want additional features. These free great looking portfolio themes take you a long way as they are. I have picked 15 of the best portfolio themes from the WordPress theme repository. It is the best and safest place to download free themes? The team in WordPress checks every theme to detect malicious code or other security leaks. Are you looking for free WordPress portfolio themes for your website? 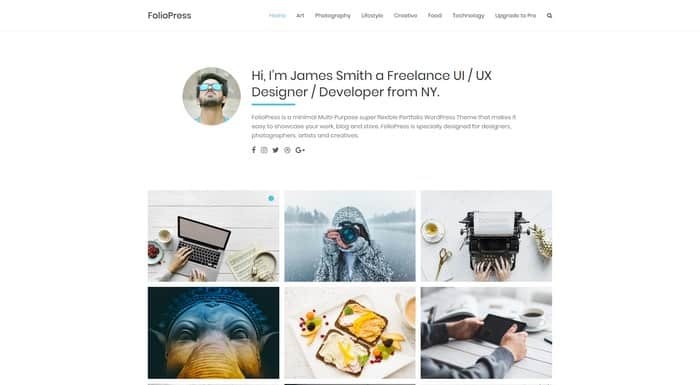 Here are without any further ado, the 15 best free WordPress portfolio themes 2019. Aperture is an attractive free WordPress theme built for portfolio websites in mind. But you can use it advantageously for other niches such as photography, design and agencies websites. With this theme, your content stands out visually in a versatile and elegant way. Aperture is designed with a creative and modern grid layout. 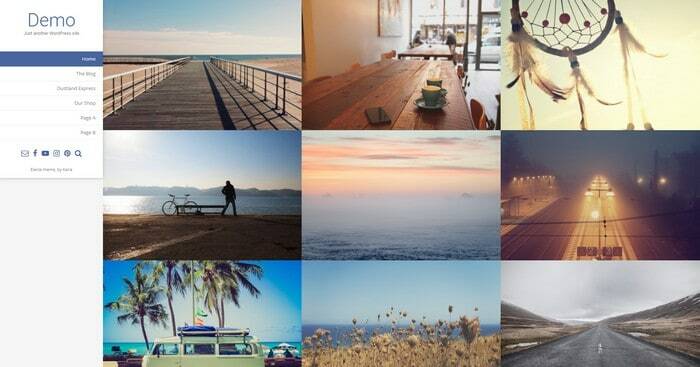 Which makes this theme excellent to supercharge your photos or videos in the best way for your visitors. Although the theme is created with a minimalist look and feel, it looks spacious. Apertures include drag and drop image gallery for portfolios, and the ability to add YouTube and Vimeo videos to portfolios. Overall, this is a beautiful and perfect portfolio WordPress theme. Neptune Portfolio is a free creative WordPress theme with an elegant minimalist design. The theme is featuring a responsive four column grid layout which makes it perfect to display images and videos in a beautiful way. Neptune Portfolio is suitable for portfolio, photography, and travel websites. The theme is already translated into several languages such as Spanish, French & Portuguese. It is possible to translate the theme to any language WordPress supports. This is a theme with a simple but classy look and feels which makes it perfect for displaying portfolios of various kinds. 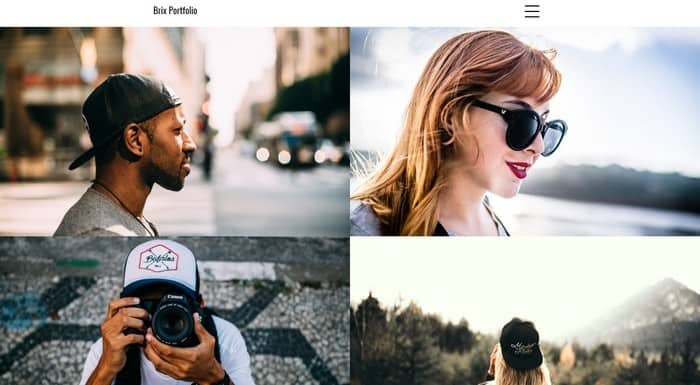 If you’re ready to showcase big beautiful photos then this cool free WordPress theme Brix Portfolio will come in handy. The theme is built with Ajax and is perfect for niches such as photographers, portfolios, fashion and travel websites. Brix Portfolio is a WordPress theme with a professional look and feel. If you want a website that stands out from the crowd, this theme is a perfect choice. So create, launch and boost your creative content. 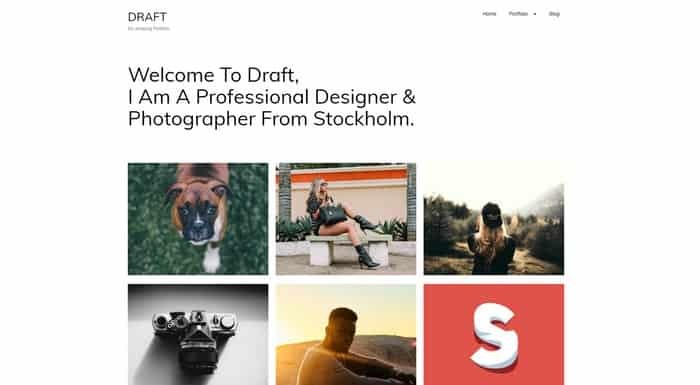 Draft Portfolio is another creative free WordPress portfolio theme with photographer, designers, travel and agency websites in mind. With this theme, you can easily create a stylish portfolio without any coding skills at all. 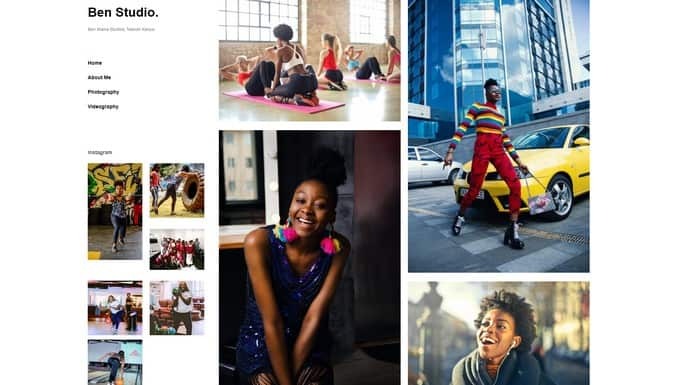 The design of Draft Portfolio is clean and spacious which means your content, photos or videos are exposed in a winning way for your visitors. 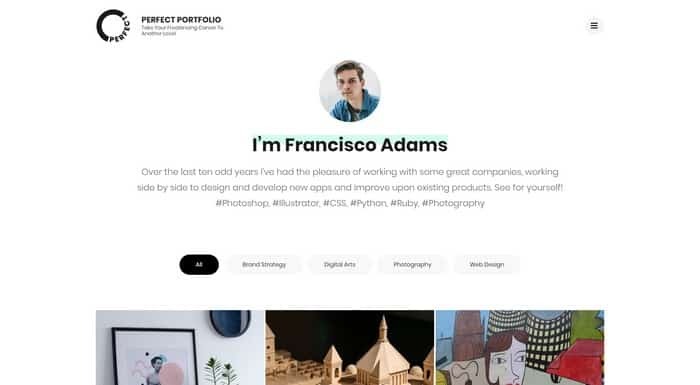 Draft Portfolio is a free WordPress portfolio theme that anybody out there can use to create a great looking online presence. 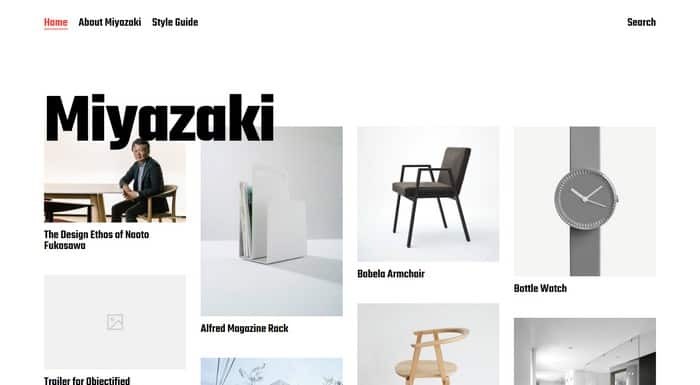 Miyazaki is a free WordPress theme created by Anders Norén who also have created other well-known themes such as Baskerville, Hemingway, and Garfunkel. This is a theme with bold typography and cool looking masonry grid layout. Miyazaki also features infinite scroll loading and Gutenberg support. At first glance, the first impression is a beautiful portfolio layout. But even the single post design is attractive and eye-catching with large pictures and large text. If you want your visual content to differ from the crowd then Miyazaki is a great choice. Gusto Photography is a minimalist WordPress theme that is free to download from the WordPress.org theme repository. Its simplicity makes it a great looking theme with a spacious layout to present content such as photos and videos. The grid layout makes the content appear in a beautiful and engaging way. A plus is a sitewide sidebar for navigation, additional content, and information. The Gusto Photography theme is suitable for niches such as photography, galleries, travel but also for food websites. 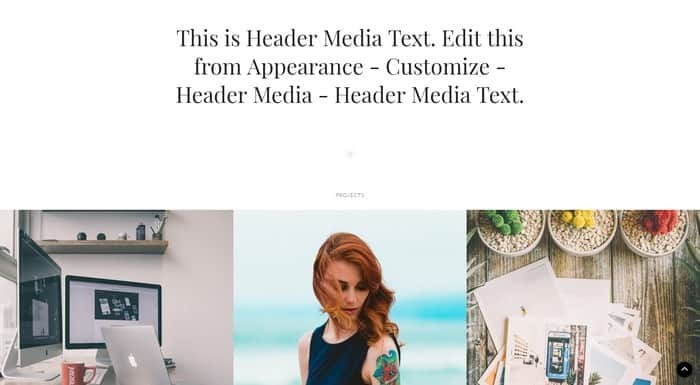 This theme makes your content appear in an elegant way. 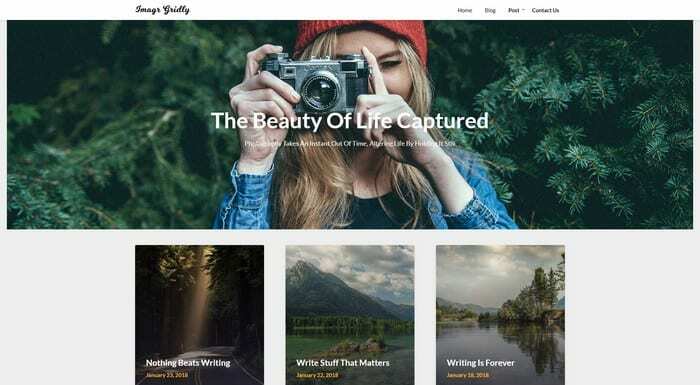 Image Gridly is a beautiful free WordPress theme with photos portfolios, and blog websites in mind. The theme comes with a big header, perfect to display creative photos. The grid layout makes your content look sharp. Image Gridly comes with a whole great feature included. Beaver Pagebuilder. It is SEO optimized and the design is responsive. So your website will look perfect in any kind of devices. More features are custom logo, custom navigation colors, custom favicon and much more. Image Gridly is a theme perfect for displaying creative content in the best viable way. 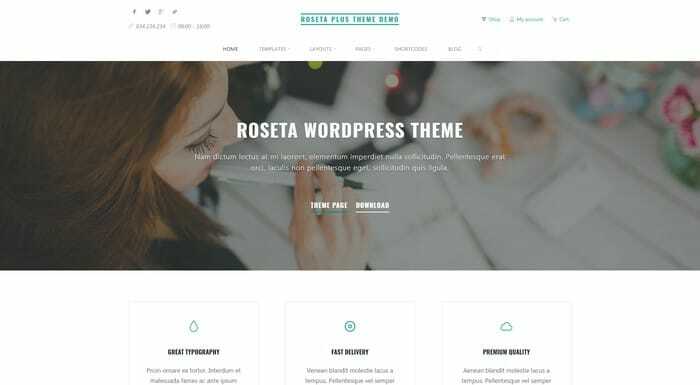 Roseta is a free WordPress theme from CryoutCreations. This is a great looking multipurpose theme. Use this theme, for instance, to your photography, or portfolio website. Or perhaps for a WooCommerce store. Roseta is perfect for any niche. It is a customizable theme with numerous features. Roseta comes with theme options and it is possible to customize the site layouts, menu layouts, and even widget layouts. It is also possible to create an engaging landing page. Roseta is a flexible WordPress theme, suitable for a variety of website types. 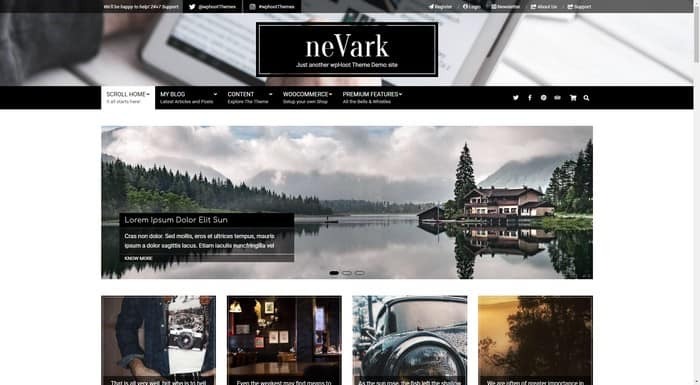 Nevark is a free WordPress portfolio theme from wpHoot. It is designed first and foremost for photography, studio and portfolio websites. It is perfect to showcase creative content such as photos, videos or products. The great looking grid layout makes your content stand out in a compelling way. In this free version, are features included such as responsive design, multiple widgets, and is fully SEO optimized. The design of Nevark is beautiful and classy. 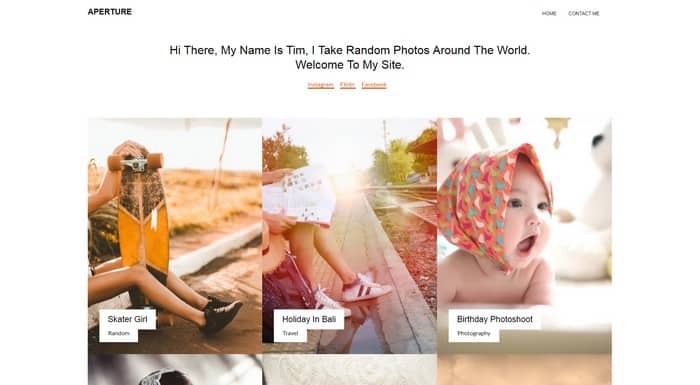 It is simply a perfect WordPress theme for anyone who wants to create a great online appearance. FolioPress is a popular free WordPress theme from Theme Horse and you can download it from the WordPress theme repository. This is one of the most impressive portfolio themes out there. With its clean and spacious layout, content such as images, or videos are presented in an eye-catching and beautiful way. With FolioPress it is possible to display content in two different modes, grid view, and list view. Some of the features in FolioPress are custom background, custom header, favicon, and custom CSS. FolioPress is a theme that fits well with niches such as photography, design, portfolio, or for other creative people out here. Electa is a pretty free WordPress theme with photography and portfolio website in mind. The theme is designed with an attractive grid layout which makes your content is presented in a stand-out-of-the-crowd way. Electa comes with multiple page layouts and is compatible with the drag and drop the page builder from SiteOrigin. Therefore you can easily build the page layout you like. Moreover, this theme also comes with support for WooCommerce. Meaning you can also turn your website into an online store and sell your products. Pictorico is a modern free WordPress portfolio theme from Automattic. The theme comes with creative post slider on top and a beautiful grid-based layout. 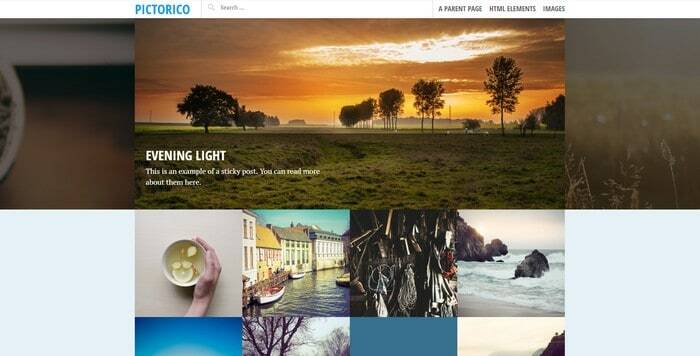 Pictorico is perfect for websites that focus on photography, portfolios, galleries or other similar creative topics. The single-column on single pages and posts also looks stunning. Spacious with the content in focus makes the picture and text stand out. 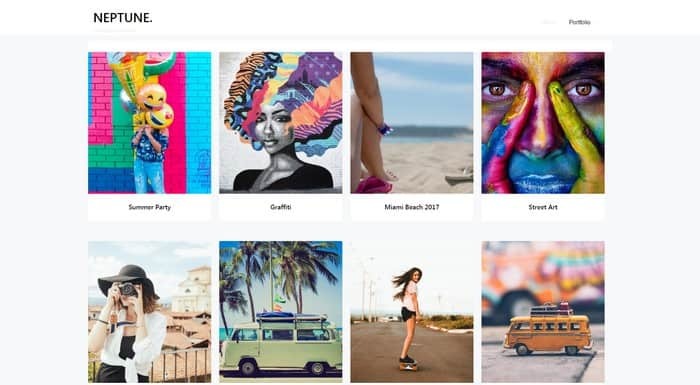 Features in the theme – featured images, post formats, sticky posts, four widgets areas, custom menu, header, and background. Pictorico is an elegant portfolio theme. Perfect Portfolio is a WordPress theme specially designed for portfolio and photography websites. Rara Theme it the author of this theme and it includes a lot of features that you don’t normally find in a free theme. Responsive design, speed optimized, and SEO friendly. WooCommerce compatible, GDPR compliant and much more. Furthermore, With Perfect Portfolio it is possible to present content in an attractive and sophisticated way. If you are thinking of starting a portfolio website, Perfect Portfolio is definitely a theme to keep in mind. CleanPortfolio is a gorgeous portfolio of WordPress theme from Catch Themes. Clean Portfolio is a theme with a minimalist, clean design with a spacious look and feel. This is a theme ideal for niches and areas such as photographers, agencies, designers. But also suitable for bloggers to present content in a graceful and engaging way. CleanPortfolio is available in both free and premium versions if someone wants additional features. Some features included in the theme are responsive design, breadcrumb, boxed / fluid site layout. Scroll up options, search options, header media and much more. 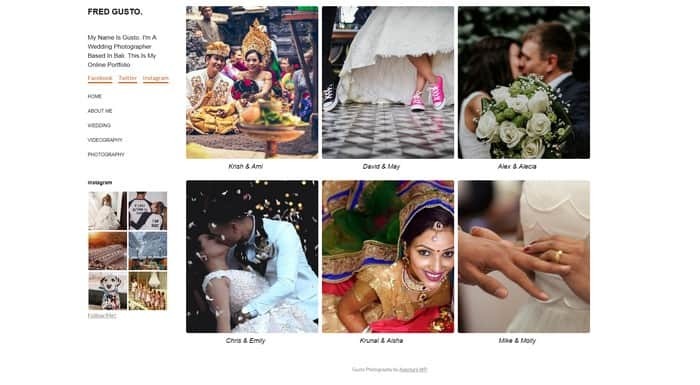 X Portfolio is a charming responsive free WordPress theme suitable for wedding photography and portfolio websites. This is a beautiful theme with a big bold design which makes it above all perfect to showcase photos. X Portfolio comes with a great looking grid layout. But also the single post layout looks awesome. I wish there were some more features in the free version. You can upgrade if you require more features. But the free version takes you a long way to create a great online presence. There is as I mentioned earlier a plethora of both premium and free WordPress portfolio themes. However, in this article, I choose to present only free themes. If you want more features, and perhaps more support. Simply upgrade or perhaps opt for a premium theme from one of the many great WordPress theme providers that are available. Personally, I like grid-based layouts. It makes a website look more organized. It also highlights content such as photos and videos in a better way. WordPress portfolio themes may not suit everyone. Some like magazine themes other simple blog themes. It’s okay. But if you want to try out any of these themes in the list above maybe some of the themes work great for your website. Do you like WordPress portfolio themes? Or do you prefer any other style? Please leave a comment. I would love to hear your opinion. How to create high conversion oriented WordPress Blog?